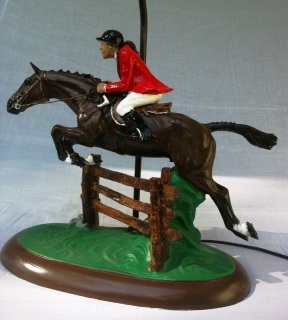 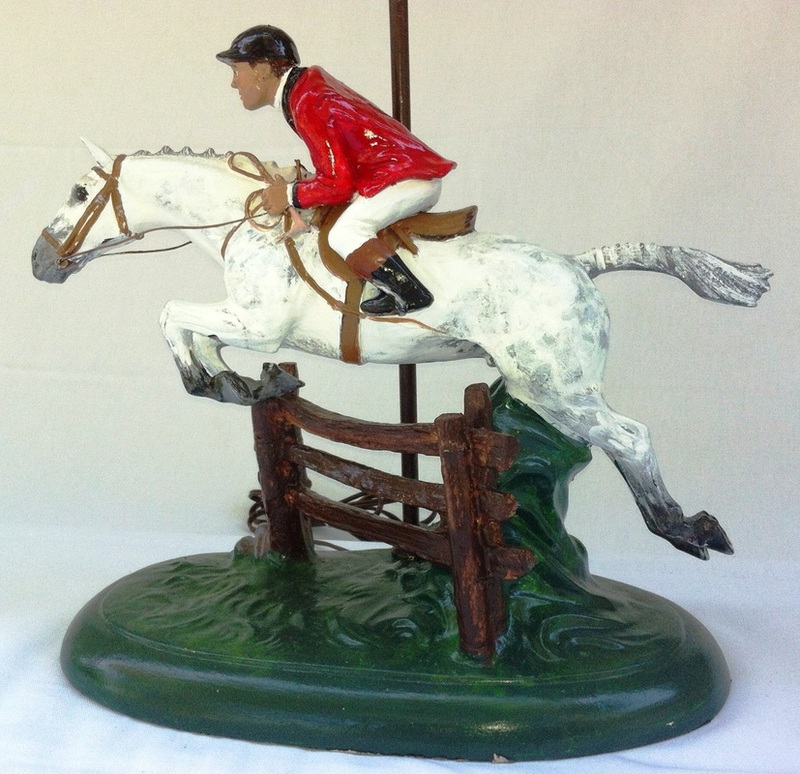 Hunts woman jumping lamp can be customized to your specific horse coloring. Please note: Lamp shade is not included. Huntsman jumping lamp can be customized to your specific horse coloring. 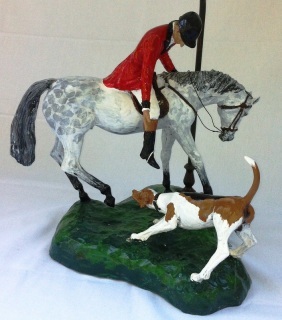 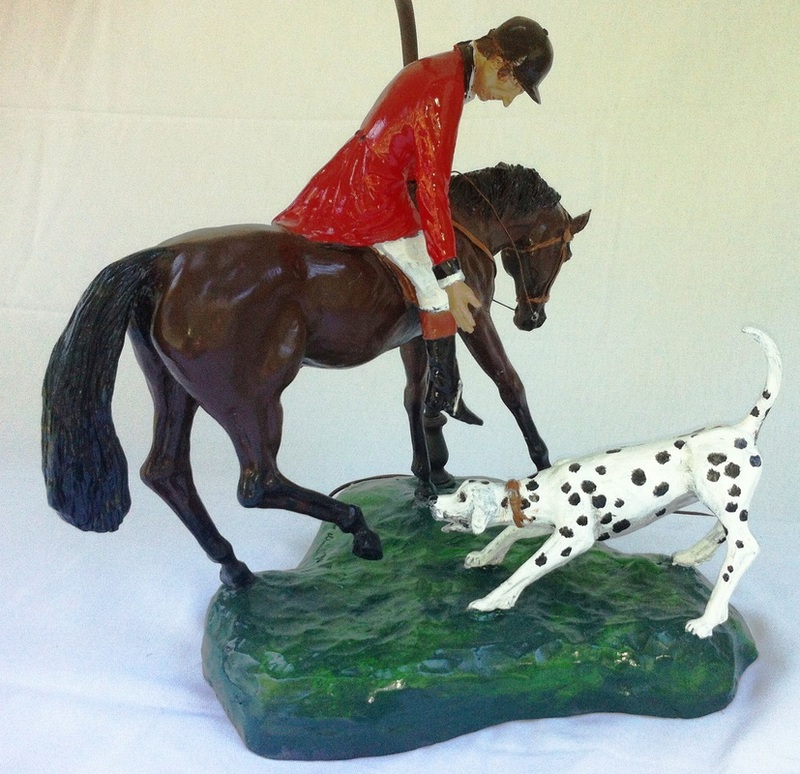 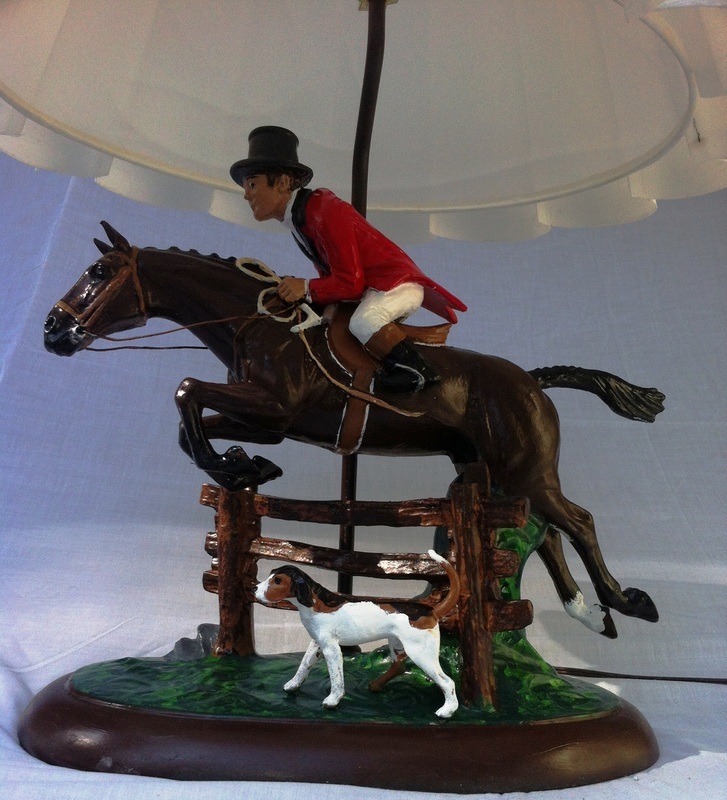 Huntsman with dog lamp can be customized to your specifications of dog and horse coloring.